With the United States forces preparing to leave Syria, Turkey is asking for America’s continued support as they seek to fill the void. According to The WSJ, U.S. officials are concerned that Turkey lacks the resources to take on the fight, and are working to “mitigate,” these risks. “To try to mitigate these risks, [James Jeffrey], the State Department envoy, is seeking to work out an arrangement with the Turks that would allow them to go into northern Syria while avoiding largely Kurdish areas, according to U.S. officials familiar with the plans,” The WSJ said. 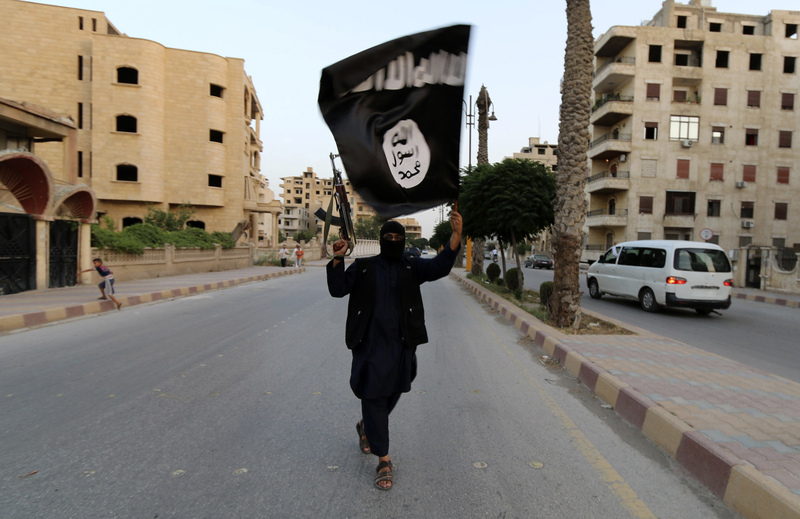 A member loyal to the Islamic State in Iraq and the Levant (ISIL) waves an ISIL flag in Raqqa June 29, 2014. The offshoot of al Qaeda which has captured swathes of territory in Iraq and Syria has declared itself an Islamic “Caliphate” and called on factions worldwide to pledge their allegiance, a statement posted on jihadist websites said on Sunday. President Trump has long wanted to withdraw United States forces from Syria, recently announcing the withdrawal of 2,000 troops. Trump has expressed confidence that other countries involved in the conflict can handle what remains of ISIS. Trump’s move on Syria has elicited criticism from both sides of the political aisle, with South Carolina Republican Sen. Lindsey Graham introducing a resolution condemning the action, and California Democratic Rep. questioned the president’s “loyalty,” while ridiculing his personal life. Trump’s Syria decision comes at a time of transition, with former Defense Secretary Jim Mattis resigning over disagreements with the president. Patrick Shanahan is currently serving as acting Secretary of Defense.